Six Month Smiles Las Cruces NM | Short term cosmetic dental braces to straighten teeth! A New Smile with Straight Teeth in Just Six Months! If you have shied away from straightening your teeth because of the time involved to achieve that new smile, we have an alternative for you that will give you a beautiful smile in just six months. No kidding! Six Month Smiles™ is a revolutionary technique that changes only the teeth that are seen in your smile. This accelerated yet gentle approach corrects problems of crowding, overlapping, and gaps like regular orthodontics. Another advantage to Six Month Smiles is they are not very visible. The brackets are clear or white and only noticeable if someone looks very closely at your teeth. They are comfortable to wear, as they move your teeth into position in a low-force manner. Such a short treatment time allows for better hygiene and a nice, clean look when the brackets are removed. And if that is not impressive enough, Six Month Smiles is very affordable, costing less than traditional braces, aligners, or veneers. So don't put off having a new smile any longer. 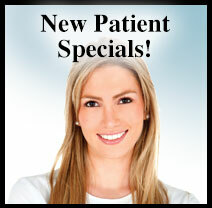 In no time at all you could be welcoming your new smile! A straighter smile is just a phone call away! Call for a no cost/no obligation consultation at (575) 522-1983 to determine if you're a candidate for Six Month Smiles.